Too Many Cooks: It's Time for a Celebration! Merrill: This may sound dated and weird, but I'm going to go with pâté -- any sort, really. Gheanna: Agree with Merrill -- pâté, cheese, baguette! Maddy: I agree with Merrill and Gheanna -- pâté! Jennifer: Can I jump on the pâté wagon? Ryan: I'm in the pâté camp as well. On a thin baguette slice, topped with cornichon. Brette: An ice cream cone with sprinkles. Stephanie: Definitely with Marian on this one. Cake. Lindsay-Jean: Bite-sized anything. Nothing says special occasion to me like tiny morsels of food. Amanda Li: Cured meats and figs. Alex: Pink bubbles and cheese, please. I'm with the OYSTERS contingent - and I'm going to throw in foie gras canapes and Amanda's Super Bowl tempura sage leaves with anchovy paste. Serve those 3 items with some bubbly and I will happily schlep boxes for hours before the celebration! Cured meats and aged cheeses! 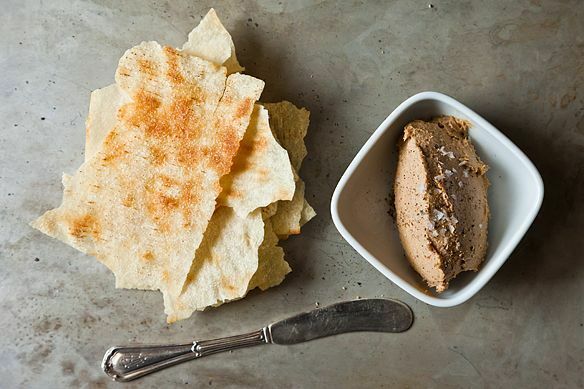 I have an almost inhumanly ridiculous love of rillettes, and find them an easier sell than pâté -- for some reason many of my friends are pâté averse!